I’d venture to say that every living human has spent at least one night tossing and turning for hours on end until sunrise. If you haven’t, you’re one of the lucky ones. For about one-third of the world’s population, insomnia is a way of life. The resulting grogginess, irritability, and dark under-eye circles have become ingrained into their identities. They’ve already tried natural remedies such as counting sheep, meditation, or even Grandma’s favorite method of drinking warm milk — but none of these options consistently works. Frustrated, they’ll then turn to the medicine cabinet for relief, maybe beginning with a couple of seemingly harmless Benadryls before bed. Over time, however, they’ll build up a tolerance and realize they need something stronger. So, the pre-bed routine will escalate into the realm of Ambien, Xanax, and other pharmaceutical drugs that cause crazy side effects like addiction, confusion, sleepwalking, sleep eating, and other zombielike behavior. At this point, perhaps our sleep-deprived friends are getting some shut-eye, but it’s certainly not restful, and they’re earning it in the most dangerous way possible. Thankfully, there’s a much safer, more natural way to overcome insomnia — and it has nothing to do with taking narcotics, counting imaginary animals, or filling your stomach with milk before bedtime. Thanks to all the pothead propaganda that swirled across the globe throughout the 20th century, the plant’s medicinal properties mostly fly under the radar. Many people continue to think that one puff will automatically turn them into degenerate potheads who can no longer contribute to society. These individuals fail to realize just how sophisticated today’s medical cannabis industry has become. You don’t have to smoke in order to reap the rewards; cannabis can be processed into edible and topical formats, each containing laboratory-controlled doses of different strains and ingredients that produce unique effects on patients. When it comes to insomnia, modern scientific studies (and even studies dating back to 1973) confirm that cannabis possesses qualities that help people sleep. The indica strain in particular — and its terpenes (the molecules responsible for the plant’s recognizable smell) — is considered the best option for those looking to avoid the dangers of pharmaceuticals and achieve a good night’s rest. 1. It’s Less Dangerous. Let’s get the obvious point out of the way first: Cannabis is a plant that occurs in nature. It’s not an evil concoction of dangerous chemicals grown inside a test tube, it isn’t considered to be physically addictive, and it’s far from lethal — unlike the various pills (and the alcohol) people commonly turn to for insomnia. While it’s true that smoking pot may be unhealthy because you’re still inhaling carcinogens and damaging your lungs, you still have the option to eat, drink, or topically apply it to your body while achieving the same effects. 2. It Produces Fewer Side Effects. Medical cannabis causes far fewer side effects than traditional pharmaceutical sleep aids. You won’t wake up groggy, you won’t lose your appetite, and you won’t wander around your neighborhood in the middle of the night like the walking dead. In fact, the plant can even be used to relieve the side effects from your other medications that may be keeping you up at night. 3. It Saves You Money. Medical cannabis isn’t as expensive as it used to be. In states that allow it, you can find grams for as low as $5, which could last a before-bedtime patient for a week or longer. With the price of pharmaceuticals continuing to skyrocket, people are looking for alternatives to prescription medication. Medical bills have actually become the leading cause of bankruptcy in America. We simply can’t afford the outrageous prices of prescriptions anymore. Though previous generations viewed cannabis as a vice, modern society is beginning to embrace it as a virtue. Through the plant, people have alleviated a wide range of medical issues including pain, stress, post-traumatic stress disorder, anxiety, and yes, sleep disorders. Cannabis is a legitimate pharmaceutical and food-grade product that will disrupt and revolutionize the entire medical industry as soon as it’s federally decriminalized. In the meantime, if you’re lucky enough to live in a medical cannabis state (or one where herb is legal for recreational use), go and see for yourself how incredible a sleep aid it can be. Faisal Ansari is the co-founder of MMJRecs, a telemedicine platform in the medical marijuana industry. 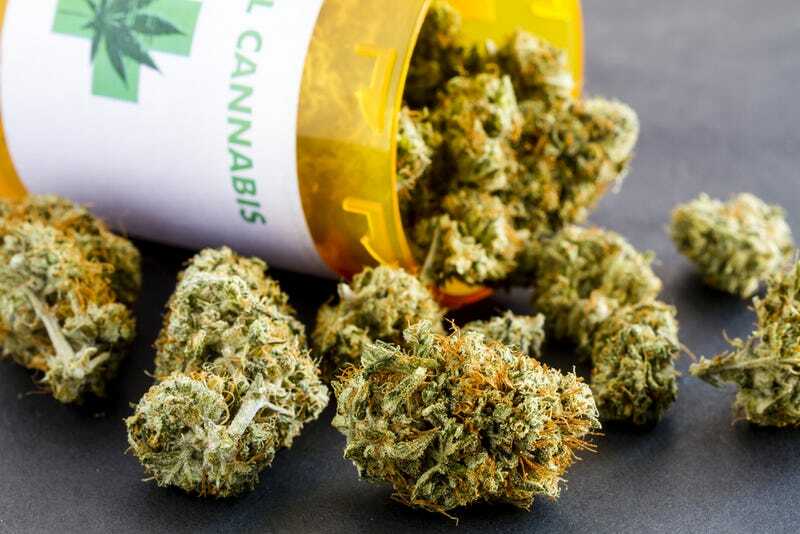 As a former cancer patient who has reaped the medicinal benefits of marijuana, Faisal co-founded MMJRecs to help others connect to doctors with convenience and ease. He’s a University of Miami graduate with a degree in finance. Faisal owns College Hunks Hauling Junk franchises in Orlando and Tampa, Florida. He is trilingual and speaks English, Portuguese, and Spanish.